Economics professor Scott Shane was joined by Eyal Bino from ICONYC labs and Ron Moritz, MBA ’94, of OurCrowd at the Technion Drive Accelerator in Haifa. 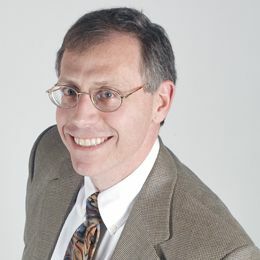 “The thing people do really well in the process of pitching, is tell you a story about a vision where something has the potential to be of enormous value,” said Scott Shane, the A. Malachi Mixon III Professor of Entrepreneurial Studies at Weatherhead School of Management, at a panel about pitching to investors. Shane was joined by Eyal Bino, partner and co-founder of ICONYC labs, an accelerator that brings Israeli companies to the US, and Ron Moritz, MBA ’94, venture partner at OurCrowd, which focuses on cybersecurity, at the Technion Drive Accelerator in Haifa, Israel. Shane continued, giving advice about what to say and what not to say to investors. First, you never tell an investor they’re wrong, Shane says. Second, stick with the story and the vision. Flashy, improbable numbers showing huge growth will only turn investors off. Shane is an angel investor himself, in addition to being an active researcher of entrepreneurship and entrepreneurial finance.